Your first visit to Momentum Chiropractic Clinic is when we will assess your complaint, we start by taking a history of your condition. It is important to us to be thorough and you will be asked for information about your current complaint and also about your medical history and general health. This will help us establish whether we might be able to help you. After this consultation, we will carry out a physical examination consisting of a range of tests to analyse posture and range of movement and to check for the source of your symptoms. We will also do specific orthopaedic and neurological tests that might identify a certain condition or type of problem. Occasionally further investigations such as an X-ray or MRI scan may be required. These can be arranged very quickly and easily either privately or we can recommend your referral through the NHS. You will then be told what the problem is (your diagnosis), how we may be able to help and how long it may take to improve (prognosis). If appropriate, treatment can then be started straight away. We will then discuss the types of treatment available. Some of the techniques are listed here. You will, of course, be able to ask questions about what is involved. Once you are happy to proceed you will be asked to give your written consent to treatment, which can be carried out there and then. The whole process from start to finish takes up to one hour. Should we be unable to help you will be referred to the appropriate health professional such as your GP or a specialist for further investigation. Although such referrals are uncommon we are always on the lookout for problems that we cannot treat. 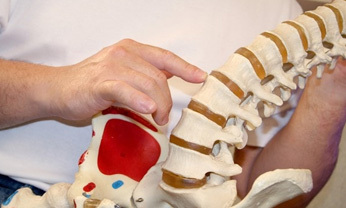 Chiropractors are trained to recognise the signs and symptoms of such problems and no case is ever assumed to be straightforward until it is concluded otherwise. All details of your first and subsequent visits will be kept as part of your clinical notes. These are strictly confidential and nobody will be allowed to see your records without your permission but you will always be entitled to copies.